The 45-day interval between the launch of the latest feature upgrade to Windows 10 and the announcement that it's ready for business is the shortest yet. Microsoft on Thursday declared that the latest feature upgrade to Windows 10 is fit for businesses, marking the fastest transition yet from consumer-only to enterprise-ready. "Based on the update quality and reliability we are seeing through our A.I. approach, we are now expanding the release broadly to make the April 2018 Update (version 1803) fully available for all compatible devices running Windows 10 worldwide," wrote John Cable, director of program management, in a post to a company blog. "Enterprise customers can ... fully deploy Windows 10, version 1803 when ready." Windows 10 1803 - the label uses Microsoft's now-standard format of yymm - was officially released April 30. 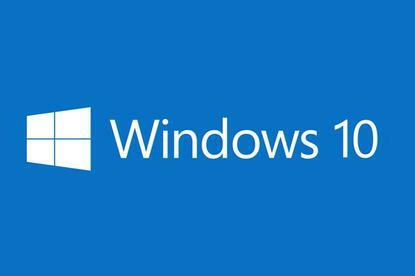 The 45-day interval between the launch and the pronouncement was the shortest yet for Windows 10. The declaration of corporate suitability smashed the previous record, set by the 1709 upgrade 86 days after its October 2017 debut. Compared to Windows 10 version 1703's 107 days of a year earlier, 1803 took just 42% as long to reach business maturity. Cable credited the speed increase to the firm's work in artificial intelligence, or A.I. "Our A.I. approach has enabled us to quickly spot issues during deployment of a feature update, and as a result has also allowed us to go faster responsibly," he contended. "In fact, the April 2018 Update is officially the fastest version of Windows 10 to reach 250 million devices, achieving that mark in less than half the time it took the Fall Creators Update [version 1709]." According to Cable, Microsoft's A.I.-based model was better able to predict which Windows 10 PCs would successfully install the 1803 upgrade, in part because the model could be "taught" to identify the best devices. Response time to problems has also been improved, Cable said, so that upgrade stoppages are briefer than before. Another reason for the shorter timeline has been an overall reduction in Windows problems with each successive upgrade, said Cable, who boasted of a 20% reduction from earlier upgrades in OS and driver stability issues. The latter has historically been a weak point in migrating Windows to newer code. The ready-for-business bulletin Cable delivered is a holdover from Windows 10's early days, when Microsoft planned to release three upgrades annually, each supported for only a year. The first four months of each upgrade's life cycle was to be dedicated to putting it on consumer PCs; those consumers would serve as unwilling testing volunteers, who would report bugs that Microsoft would then quash. Only when the Redmond, Wash. developer decided the upgrade had been sufficiently put through the wringer would it be offered to Microsoft's most valued customers, businesses, especially large corporations and organizations. Enterprises were to wait until Microsoft gave them the go signal before starting to deploy each Windows 10 upgrade to large numbers of PCs. Cable's announcement is the latest such green light. Vestiges of the four-month stretch still remain: A recent report from Gartner Research marked that time - now a smaller percentage of the expanded 18-month support period - as suitable for enterprise testing (two months) and pilot programs (another two months) on small pools of PCs. But just because Microsoft waves the starting flag doesn't mean enterprises should step on the gas. Cable acknowledged as much when he said, "IT administrators can decide when to broadly deploy once you have validated [that] the apps, devices, and infrastructure in your organization work well with this release." In fact, the announcement of an upgrade being business-ready may be outliving its usefulness. The four upgrades that preceded 1803 - versions 1511, 1607, 1703 and 1709 - were each given 24 months of support, relaxing the tight time constrictions Microsoft had set earlier and making the ready-set-go tempo moot. Although Microsoft returned to the 18-month support period with 1803, Gartner has forecast yet another change. "By YE20, Microsoft will officially support Windows 10 Enterprise and Education for 24 months, up from 18 months in 2018," Gartner analysts wrote in an April report.